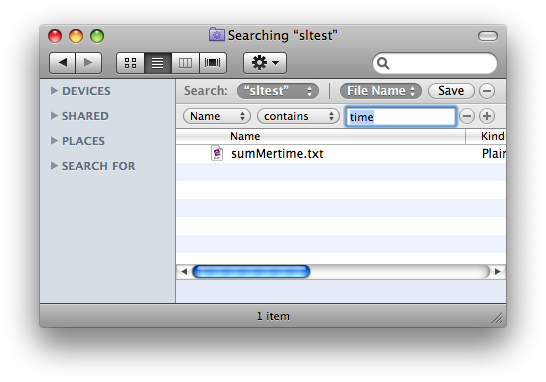 … which lead me to the discovery of yet another “undocumented (bad) feature” in Finder and more importantly, Spotlight. When you use the built-in search field, the search term is not “any name that contains this” or even “any name that starts with this”, but rather “any *word within a name* that contains this”. $ alias mdfind="mdfind -count -onlyin $PWD"
… you get the idea. 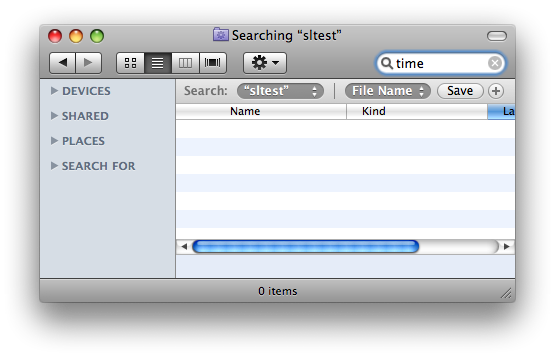 The default search in Finder and mdfind uses a weird matching logic which differs from what most people would assume. The problem exists on both server and workstation versions of 10.5.6.